Q: How Can I Make My Tires Last As Long As Possible? A: There are several great practices to follow that will keep your tires in great shape. The first is routine tire rotations. On front-wheel drive vehicles, the front wheels tend to wear a little quicker. The same thing happens to rear tires on rear-wheel drive vehicles. Keeping a regular tire rotation pattern (moving each tire front to back and side to side) ensures even wear for all of your tires. You should also inspect your tires for leaks. Keep an eye on your car's tire pressure monitoring system or use a manual pressure gauge to make sure your tires maintain the recommended PSI. Driving on an under-inflated tire can cause accelerated wear or even severe damage to your tires and wheels. Also, watch out for unfriendly driving conditions and road hazards. If you follow these simple tips, you might not have to buy new tires so often. Q: Why Is Tire Tread So Important? A: Tread is the part of the tire that comes in contact with the road. You'll find an intricate set of grooves throughout the tread called "tread patterns". In a whole, the tread is designed to optimize traction, which improves handling and braking and even maintains maximum speed. Things can also get dangerous when the tires on your vehicle become too worn, especially in Ohio. Depending on the season, tires may struggle to handle the elements, especially if they're becoming bald. Q: How Do I Know If My Tires Are Too Bald? A: When it comes to tires, "baldness" refers to tread patterns. As those grooves get more and more shallow, they begin to disappear, causing your tire to appear bald. Most tires are equipped with built-in tire tread indicators. As the tread wears, these indicators will become exposed. When you begin to see them, it's time to schedule tire service. Q: Isn't There Some Kind Of Way To Measure Your Tread Using A Penny? A: Absolutely. It's called the penny trick. Place a penny upside down (with Abraham Lincoln's head facing you) into the grooves of the tread. If you can see the top of Honest Abe's head, then it's time to buy new tires. This method isn't an exact science, though. When considering tire size and other factors, select tires may wear differently than other, so if you're unsure, it's a good idea to visit your tire service center. 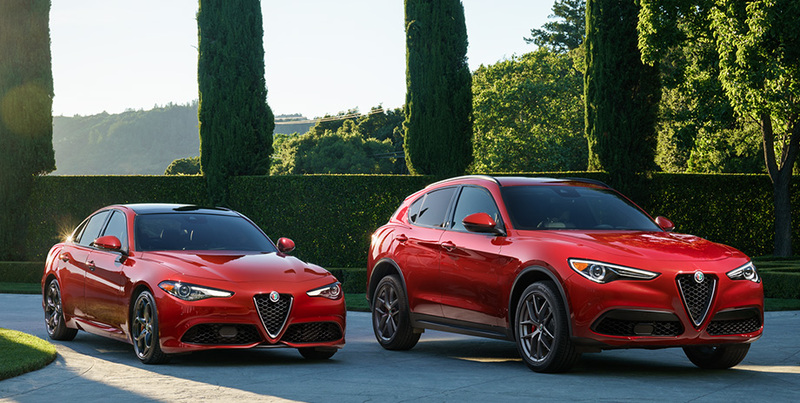 Q: Where Is The Best Place To Buy New Tires For My Alfa Romeo? A: It's always best to visit a certified Alfa Romeo tire center for tire service or any auto repairs. Everything about an Alfa Romeo vehicle is unique, right down to the tread on the tires. Select tires and tire brands are recommended for the Italian luxury performance vehicles and using the recommended parts is the best way to keep it running at maximum efficiency. At Crown Alfa Romeo of Dublin, we offer expert service, exclusive tires and Alfa Romeo-certified technicians. Other auto repair shops will do their best, but they can't deliver the same service as our highly-trained team of professionals and our state-of-the-art facility. Insist on top-tier service for your world-class vehicle. For premium tire service, Dublin drivers trust Crown Alfa Romeo. Crown Alfa Romeo Of Dublin is an all-encompassing auto repair shop. Not only do we offer premium tire repair service, we provide certified Alfa Romeo service, OEM parts, new tires and much more. Visit us for everything from oil changes to bodywork. You can also call our extensive parts department or order parts online using your credit card. Plus, don't forget to sign up for our exclusive Savings Card Membership. For unrivaled tire service, near Columbus, Delaware and the Easton Town Center, stop into Crown Alfa Romeo of Dublin today.